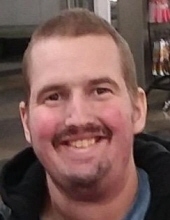 Adam Michael Hoff, age 28 years, of Flemington, NJ passed away on Friday, March 29, 2019 in the University of Pennsylvania Hospital, Philadelphia, PA.
Born in New Brunswick, NJ, July 1, 1990, he was the son of Patricia Anne Boozer of Georgia and the late Arthur M. Hoff, Sr. of Flemington, NJ. Surviving, in addition to his mother, are his brother, Arthur Marvin Hoff, Jr. and his wife Bobbie Jo Hoff of Alpha, NJ; his nephews Steven Hoff, Robert Hoff and Artie Hoff; his aunts, Karen Dilley (Alan) of Flemington, NJ, and Judy Enea (Pete) of Pittstown, NJ; grandmother Julia Hoff of Indiana, and is predeceased by his grandfather Frank D Hoff. He has many aunts, uncles and cousins. Adam was predeceased by his grandmother Joann Mauldin Boozer. He is survived by his grandfather James Michael Boozer Sr. and companion Sally Mauldin; Uncle James Michael Boozer Jr. (Linda); cousins Jessica Boozer-Hoernemann, Stephen Hobbs and Anna Laudimey. Adam was born with Cystic fibrosis. In 2011 he was the recipient of a double lung transplant and enjoyed the most wonderful 8 years. He worked at Shop Rite of Clinton, NJ since 2013. He was a member of Special Olympics and enjoyed bowling, track & field, basketball and softball. Adam gained his independence in 2014 when he moved into a group home with The Arc of Hunterdon. The Arc helped Adam to live as independently as he was able. He grew into an amazing young man and participated in activities that would never have been a possibility prior to his transplant or without the help of The Arc. Adam's family cannot thank the staff of The Arc of Hunterdon enough for their dedication and love of Adam. They went above and beyond the call of duty as Adam's health deteriorated over the month of March, never leaving his side. Many staff members were present the day Adam's spirit left his body and entered into the Kingdom of Heaven, "absent from the body present with the Lord". Adam leaves behind his girlfriend and love of his life Katie McGee. He touched the hearts of many and he is truly missed. A Celebration of Life service will be held on Saturday, April 27, 2019 at 2 PM at The Cherryville Baptist Church. Interment will be private in Rosemont Cemetery, Rosemont, NJ. Arrangements are under the direction of the Holcombe-Fisher Funeral Home, 147 Main Street, Flemington, NJ. In lieu of flowers, memorial contributions may be made to The Arc of Hunterdon County, 1465 Route 31, Suite 23, Annandale, NJ 08801. Guaranteed delivery before Adam's service begins. "Email Address" would like to share the life celebration of Adam Michael Hoff. Click on the "link" to go to share a favorite memory or leave a condolence message for the family.